For those on the market for a new dash camera, the good news is that prices have dropped significantly in recent years. As technology improves and more manufacturers flood the market with products, prices drop accordingly. With that said, however, there are many dash cameras that can cost upwards of $200. These tend to come with advanced features like WIFI capability, motion detection software, and some, dual channel cameras, can film the front and back of the vehicle simultaneously. But all of these extra bells and whistles are mere bonus features, more luxuries than necessities. Most people have no need for these extra add-ons and many are not willing to pay the extra money for a device that does much more than they need. 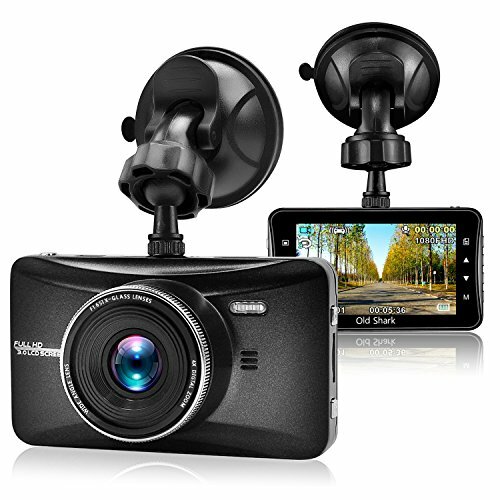 If you are one of these people, you should be glad to know that there are countless options for dash cameras under $100 that can film in full HD (1080p). Some of these cameras are more advanced than others. Some are more expensive than others. 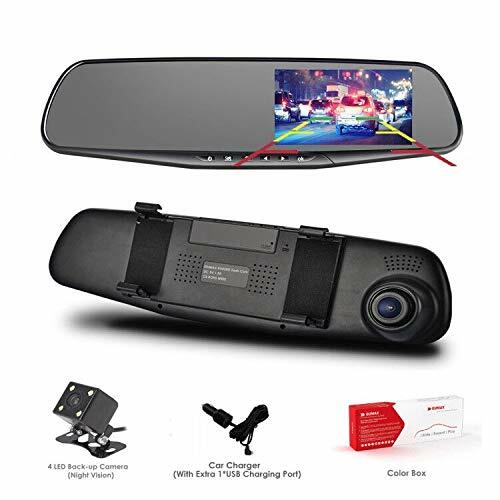 But in listing the best options here, it is our belief that you will be able to locate a dash camera that not only suits your individual needs, but your budget. We’ve done the hard work for you here – now it’s up to you to determine which option is right for you and your vehicle. Why Is a Cheaper Dash Camera Better? 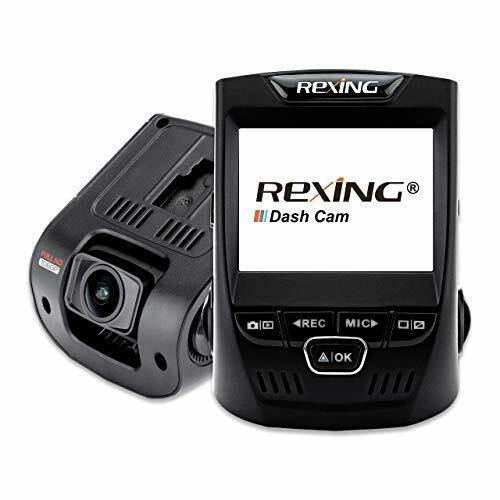 The Rexing V1 is an excellent option for those looking to purchase a dash camera under $100. Not only does it film in full HD (1080P), but the Rexing V1 even boasts WDR technology, which automatically adjusts light levels to account for situations with low lighting. With this feature, you get the best picture, no matter when or where you drive. The stealthy triangular design mounts to the windshield and fits easily within your car. Rexing’s unique design makes it unlikely to attract the attention of potential thieves and the ultra wide-angle lens captures an impressive 170 degrees of the road in front of you – the equivalent of 3 lanes on a highway! The Pruveeo dash camera is another very affordable dash camera, comparable in price to the Lecmal listed above. It is important to note however that the Pruveeo only films in 720P unlike the other dash cameras, which can all film in 1080P. But even at 720P you won’t have a hard time making out the license plates of other cars or street signs. The design of the Pruveeo is triangular and wedge like, making it easy to hide behind the rearview mirror of your vehicle. Perhaps the greatest asset of the Pruveeo is that it comes with WIFI technology, a built in module that allows you to view, edit, and send on videos in real-time. The six-glass lens films 140 degrees of the road in front of you so that you get a full picture on either side as you drive. The Oumax dash camera is another excellent option for those looking to spend less than $100. Shaped like your rearview mirror, it fits over your existing mirror like a sleeve and becomes a kind of display screen where you can view the picture as you drive. Amazingly it is also a dual channel recorder, meaning you get a crystal clear view of both the front and the back of your vehicle. This alone is an important feature: accidents are just as likely to occur at the back of your car as at the front. Furthermore, the Oumax displays both of these videos via a picture-in-a-picture image broadcast onto the tinted, anti reflective rearview mirror. A single button allows the user to toggle between these two views, front and back. The front camera records at 1080P and the back at 480P. Both lenses record with a fish eye lens that captures 120 degrees of the view. The Z-Edge is also a good low-budget dash cam to consider. Unlike the other cameras on this list, the Z-Edge affixes to your windshield or your dash via a suction cup. Voted Best 2016 Dash Cam by Wirecutter, the Z-Edge films in ultra-HD, the sharpest recording on our list at 2560 X 1080P. The scratch resistant 3-inch LCD screen of the Z-Edge allows you to view footage real-time or adjust the settings of your camera with ease. The unique CMOS image sensor and processor displays important details across a variety of lighting conditions. The Z-Edge also comes with a parking mode feature which, when hardwired to your vehicle, will act as a surveillance camera, keeping safe watch over your car even when you step away. The first obvious benefit of the OldShark dash cam is that it boasts 170 degree wide-angle recording so you capture a huge field of view, a wide net that allows you to capture all kinds of useful details, which could prove important when reviewing the footage later on. In addition to this, the OldShark boasts a large 3-inch scratch resistant LCD screen meaning you can playback footage directly on the camera itself so that you don’t have to waste time hooking it up to a computer or television in order to isolate important details in the recording. This LCD screen allows you to zoom in and zoom out, making it easy to identify things like license plates or the distinguishing facial characteristics of the person involved in the event. The built-in infrared light allows you to capture important events even at night. Impressively, the camera’s aluminum shell allows the camera to function in extreme temperatures as low as -50 degrees F and as high as 160 degrees. No matter the weather conditions, you’ve got the footage you require. 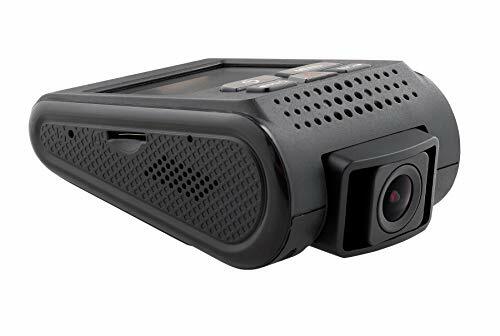 The SpyTec is another easily affordable wedge-shaped front-facing dash cam. The capacitator of the SpyTec can withstand extreme temperatures making it ideal for people living in very warm or cold climates. The SpyTec has an LCD screen and can accept SD cards up to 64 GB. The GPS logging function of the SpyTec also lets you know the route the car has driven as well as the time, date and speed. The SpyTec could prove to be useful in a number of situations. Consider a business owner who wants to ensure that the company car is where it supposed to be or that the employee in charge is driving the car in a safe manner. Or consider the parent of a new driver who wants to ensure that their young son or daughter is following the rules and staying safe. The YI dash cam is another good option for under $100. 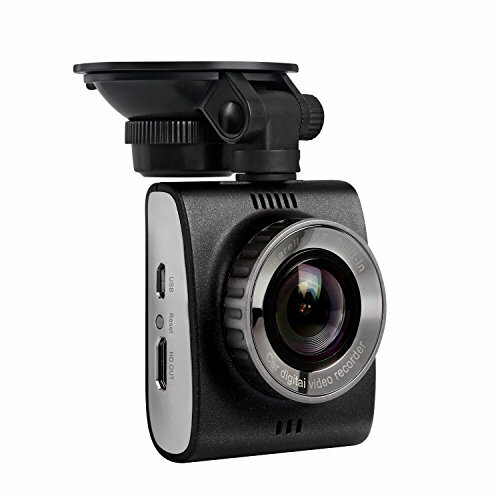 Filming in 1080P, the YI captures a 165 wide-angle view of the road as you drive eliminating blind spots. The YI also features a built-in WIFI capability so that users can connect to the web and upload videos directly to YouTube or social media sites with the click of a button. The YI also boasts superior night vision capabilities and the 2.7-inch LCD screen allows users to adjust settings with ease. The YI also comes with ADAS technology to ensure drivers remain safe as they move about the world. 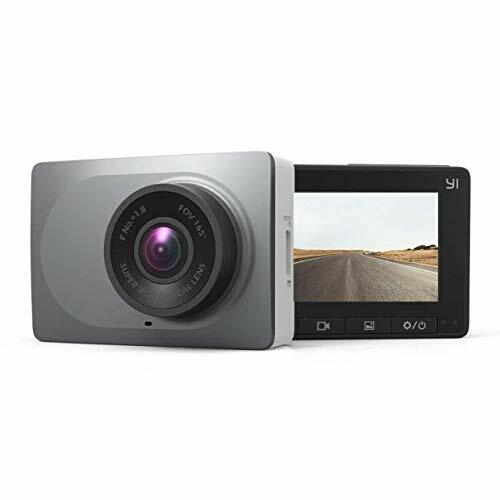 Small and lightweight at a mere 12 ounces, the YI dash camera can be hidden within the car, away from prying eyes looking to steal the camera or do damage to your vehicle. The AUSDOM is the last dash camera to come in at under $100. Recording in super-HD or 2304x1296P, the AUSDOM features one of the best wide-angle lens that captures a full 180 degrees of the road. Featuring the well-known Ambarella chip, the AUSDOM is guaranteed to give you a crisp, clear image so that you can extract important details from your footage like license plates and the facial features of other drivers. The AUSDOM also features a parking mode that will trigger recordings if the car is hit or shaken while at rest. The 2-inch LCD screen also you to view instant video playback instead of having to remove your SD card and upload it to another device like a computer or smartphone. The ToGuard dash camera also comes in at well under $100. In addition to standard features like loop recording and full HD filming at 1080P, the ToGuard also features some unique functions like the Lane Departure Warning System (LDWS) and Forward Collision Warning System (FCWS). The LDWS alerts the driver whenever it senses the car drifting in a lane and the FCWS alerts the driver whenever the car is too close to another vehicle. These features of course can be turned off under Settings, but often they prove useful in alerting drivers to danger, especially during long road trips when there is a greater chance of a driver falling asleep or losing focus. The ToGuard also comes with G-sensor technology as well as a parking mode feature and the swivel ball mount allows the user to position the camera to their exact liking within the vehicle. The Lecmal dash camera is one of the cheapest dash cameras on our list although this should not make you overlook the Lecmal as a viable option. 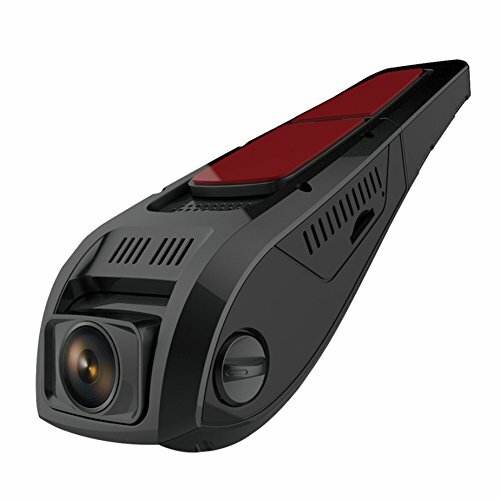 Despite it’s low cost, the Lecmal still boasts a 170 degree fish eye lens like the Rexing V1 and the Lumina, though it is important to note that the software is only compatible with Windows computers. The Lecmal can accept SD cards up to 32GB, which is more than enough space when you consider that the camera also features loop recording which write over oldest files first so that in a sense, you never run out of space. The Lumina dash cam is another uniquely designed dash cam under $100. It is one of the smaller dash cams on the market weighing a mere 11 ounces and like the Rexing V1, boasts a wide angle lens that films up to 170 degrees of the road in front of you. The Lumina also comes with G-senor technology, which will lock any video files recorded whenever the camera detects an unusual vibration within the vehicle. This is important so that you don’t accidentally delete an important file that contains footage from a crash. Furthermore, it means that when the SD card reaches full capacity, the loop-recording feature will not rewrite over your most important files. Even the slightest bump will trigger the G-sensor – but in the end, it’s better to be safe than sorry. The Autovox dash camera, like the Pruveeo, fits over the rearview mirror and records both the front and back of your vehicle simultaneously. Both cameras can be easily adjusted to your exact liking to ensure you get the best recording at both ends of the car. The Autovox comes standard with features like loop recording, WDR technology and the G-sensor technology. A nice feature of the display is that it automatically adjusts so that when the car is in drive mode, you get a larger image of the front facing camera. When the car is in reverse mode, you get a larger image of the back facing camera. In this sense you can even use the Autovox as a kind of parking guide. The back facing camera is also waterproof so that users can position it outside the vehicle for even better, even wider view of the road behind you. The DBPOWER dash camera looks a great deal like a point and click camera on a mount. The camera itself it incredibly thin and inconspicuous and boasts a wide field of vision, capturing 120 degrees of the road as you drive. Also comes with G-sensor technology that locks any image recorded during a moment of unusual vibration, ensuring that you never accidentally write over your most important files. The chrome and black design of the DBPOWER is just as attractive as the price. The camera can accept SD cards up to 32 GB, more than enough considering the camera also comes with loop recording that rewrites over oldest files first once the SD card reaches full capacity. The benefits of owning a dash camera are many. For one, they provide the driver with incontrovertible evidence of whatever transpires on the road. This can prove essential when it comes to proving your innocence in an accident in which both parties refuse to claim responsibility. With a dash camera recording your every move if you are convinced you are not in the wrong, now you evidence that you can show to law enforcement. This might help you get out of an expensive ticket (or possible jail time). The same applies to your insurance company. If you are able to provide your innocence with video footage of the incident in question, you may be absolved of responsibly and avoid a huge spike in your insurance rates. Another benefit of owning a dash camera is that they can act as a kind of deterrent to those wanting to do damage to your vehicle when it’s not in motion. Many dash cameras come equipped with motion detection technology and a thief may very well think twice after vandalizing your car after seeing the dash camera inside your vehicle. Dash cameras can also help record beautiful scenery on your next road trip or the strange things you come across in your daily life. At the end of the day the possible uses for dash cams are endless. Not only do they offer you the peace of mind by keeping another pair of eyes on one of your most prized possessions, but they can act as a recorder for the strange and beautiful things that cross your path. Many dash cams under $100 boast the same features as some of the high-end cameras at a fraction of the cost. The question then is: why pay more for the same thing? The answer is you shouldn’t. The more expensive dash cameras offer features that are ultimately not so important. WIFI capability allows you to instantaneously upload your videos to social media sites like YouTube or Facebook, but by the same token, you can simply remove the SD card, insert into your computer and do exactly the same thing. More expensive dash cameras may also offer GPS technology, but how often do you foresee reviewing the route you drove after the fact? The other benefit of a cheaper dash camera is that if for whatever it breaks or malfunctions, you have not just wasted an exorbitant amount of money. While it’s true that many dash cameras are protected under warranty, this warranty might only apply to incidences in which the user was not involved. If for whatever reason you accidentally drop the camera, you’re totally out of luck. In buying a cheaper product, you will be more likely to replace the broken product with less of a strain on your bank account. The other thing of course is that a more expensive dash camera might actually attract thieves to your vehicle. If you have an expensive dash camera on display, thieves might think there is something valuable inside your vehicle, or they may want to break into your car just to retrieve the expensive camera. But if a thief sees a cheaper dash camera, he or she might simply forgo the risk entirely. In the end, it’s more prudent to go with the cheaper dash camera that has received favorable reviews from users. A good dash camera under $100 will give you just the same kind of protection that you crave in a more expensive camera, with less risk involved in case something goes wrong. All in all, if you are looking to purchase a new dash camera soon, consider the fact that “expensive” often does not equate to “better.” As you’ve seen from the list of dash cameras we’ve put together here, there are a number of options under $100 that can give you the added protection you crave as well as the peace of mind you’re looking for. Unless you are a social media guru or a concerned parent who needs to track where their car is being driven at all times and how fast, opt for something simple and straightforward. All of the dash cameras on our list come ready to use straight from the box as long as you purchase an SD card. And while more expensive cameras can typically hold larger SD cards, this too is not entirely necessary since all dash cameras worth purchasing come with loop recording feature that automatically rewrites over old files once the card reaches full capacity. Unless you have a burning need to spend money, save the money you would have spent on a more expensive dash camera and put it towards something more worthwhile. If you are looking for a simple camera that can keep safe watch over your vehicle, the options on this list do that and more.